For the Palestinians, the 30th of March traditionally marks ‘land day’, when they commemorate Israel’s killing of six Palestinians in 1976 who were protesting the Israeli government’s announcement that it was to expropriate thousands of acres of land for state use. The commemoration unites Palestinians within the 1948 areas, as well as those in the Occupied Palestinian Territories and the diaspora as everyone has suffered some loss of land or property since the creation of Israel. However, the 30th of March now also marks the first anniversary of the start of the Great March of Return (GMR). On this date in 2018, tens of thousands of Palestinians in Gaza marched to the fence with the Israeli troops in a peaceful attempt to return to the towns and villages from which they or their parents and grandparents were violently expelled in 1948 by the invading Israeli army. 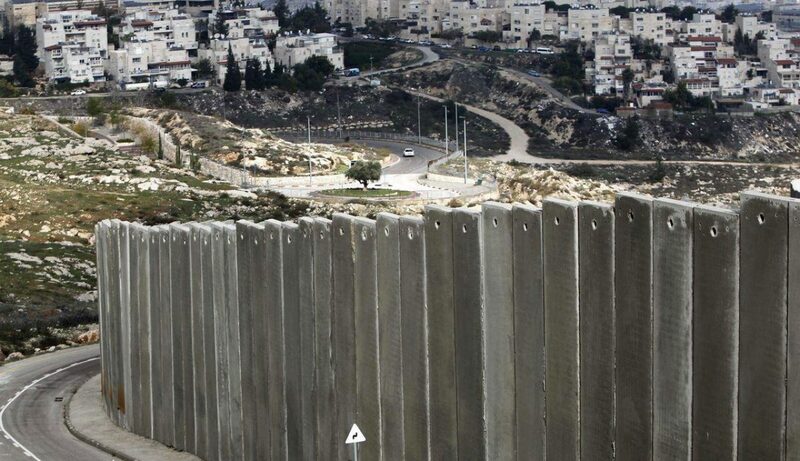 I call it a fence because the occupying power, Israel, has never declared its borders either in line with the ‘Partition Plan’ (UN Resolution 181), what is referred to as the Green line or 1967 borders, or through negotiations. US President Trump’s recent ‘recognition’ of Israeli sovereignty over the illegally occupied Syrian Golan heights confirms this. The Palestinians were also marching to remind the world that their 12-year long siege, imposed by Israel and then strengthened by Egypt was immoral and has not led to security for either Israelis or Palestinians. Only Israel, and more recently the Trump Administration, question the Palestinian right to return. The GMR was instigated by Palestinian civil society as confirmed by Ahmad Abu Artema, widely credited with the idea and not by any Palestinian faction as claimed by Israel. Writing in the New York Times, he explained how the idea came about on a walk with a friend, frustrated by Donald Trump’s recognition of Jerusalem as Capital of Israel. “There lies our land,” he told his friend, as he looked at the trees on the other side of the barbed-wire fence that confines them to Gaza. “It’s just a few kilometers away from here.” And yet, because of that fence and the soldiers who guard it, it is so far away,” Ahmad said. That thought led to a Facebook post which “struck such a chord with people in Gaza that it set off a movement that culminated in the historic protests that have taken place over the last month,” Ahmad added. On the 30th of March 2018, thousands of civilians including men women and children marched to five locations near the fence with Israel, set around 700 metres away from it. Waving Palestinian flags and chanting for return, they did not expect to be shot at with such ferocity. By the end of the first day, 16 Palestinians had been shot dead and Israeli snipers, using precision weaponry, injured hundreds. However, when asked to clarify, the IDF would not provide a specific number of people it believed its forces had struck, and the tweet was later deleted. The violence was committed against peaceful civilians. “I went there myself with my grandchildren, I didn’t know it was going to be violent,” said Faiyeq Sabbagh whose son Bader was shot in the head, despite being 300 metres away from the fence. “I wanted to show the kids our lands that were taken from us and sit there peacefully, but it became violent,” he added. While the world was initially outraged, Israel quickly moved to deny it had used excessive force and claimed the protesters were used as a cover or ‘human shields’ by Hamas to breach the fence and attack Israeli civilians. Israel’s traditional allies, particularly the US and the UK stood with Israel claiming it had a right to self-defence. They were not moved to condemn Israel even when its troops killed over 60 protesters on the 14th of May, the day the US Embassy in Jerusalem was inaugurated. Israeli snipers spared no one. Children, medics and journalists have been killed since the GMR started. The deaths of Palestinian medic Razan Al Najjar and journalist Yaser Murtaja failed to wake the collective world conscious to Israel’s atrocities. A full year since the start of the GMR and the Palestinian death toll has exceeded 200 and thousands have been injured. The price for highlighting Palestinian rights has been extremely high. However, as with other innovative ways of resisting Israel’s occupation, including the ‘breaking the siege’ flotillas, the GMR served to remind the world of the unresolved Palestinian tragedy, which was not of their own making. A year ago, Trump and his team were about to release their ‘deal of the century’, but the March may have contributed to the delay in its release as the right of return, which it attempted to scupper, was brought back onto the agenda. Sadly, the deaths have also served to highlight once again the brutality of the occupying power, for whom Palestinian lives do not matter. Far from acceding to any of the demands of the protesters, Israel has doubled down and blamed Hamas for the injuries and deaths, even claiming it pays protesters to go to the fence to be injured or killed. Israel has been blindly supported by the US and the UK who claim it has a right to self-defence. The UK even abstained at the UN Human Rights Council on the adoption of an independent commission report into the violence, which accused Israel of war crimes and crimes against humanity. Here in the UK, we are commemorating the first anniversary of the Great Return March with a demonstration outside the Israeli Embassy on Saturday the 30th of March and with other events across the country. It is once again left to supporters of justice to take the lead in supporting the Palestinian people while governments remain silent in the face of Israel’s aggression, providing it with the impunity to continue to act without accountability. We owe it to Razan, Yaser, Bader and the other casualties of Israel’s attacks on peaceful protesters to commit to supporting them until they attain the rights they have been denied for 72 years, including the right of return.